Jackie Fo: Guest Posting - Dos and Don'ts for Wedding Guests! Guest Posting - Dos and Don'ts for Wedding Guests! 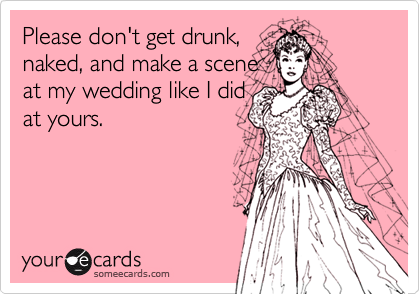 If you want to know what this is all about, check out my Dos and Donts post on wedding etiquette over at Party Box Design! It's got great info for all your wedding plans this summer! Be back later this week!